Ever since their formation in 2011, Hard Soul has been relentlessly gigging and recording new music, including 2012′s ‘Love Eats the Young’ and 2013′s ‘Seize the Year’. So it was almost appropriate that Hard Soul frontman Johnny Salka began to write the songs that would eventually appear on the first full-length album ‘Heart of Plaster’, out April 8th, 2014, while the band was on their last touring cycle of 2013. The 10 track-effort, produced by Salka and Steven Goldman at Four Legs Records, paints a picture of life out on the road, the heartbreak & sacrifice of leaving everything behind, and the search for a place to call home, all set to a mighty back-beat with heartfelt lyrics soaring over a classic-rock inspired soundscape. The songs on ‘Heart of Plaster’, including the first single “Just Be Love”, bring to mind a combination of The Beatles, Thin Lizzy and Oasis, infused with a modern flare for a new generation of rock n roll. 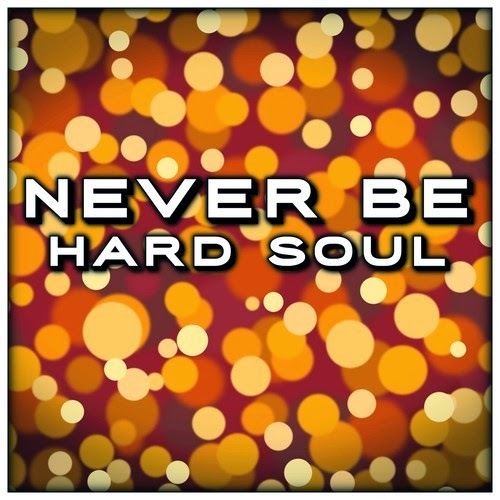 Hard Soul has released their brand new music for "Never Be", the second dingle from their debut EP "Heart of Plaster", which dropped earlier this year. The words "Never Be" came to Hard Soul frontman and songwriter Johnny Salka outside of the Stony Brook Train station on Long Island during a pit stop on the band's 2013 summer tour. After the tour concluded, Salka began the demo process for the songs that would appear on their 'Heart of Plaster' album, where the song went through a series of variations before the band finally entered the studio in the winter of 2013. "There was a moment of solitude in the van during the normally privacy-free tour environment where I found myself documenting some of the previous days shows" said Salka "and from there the lyrics just fell onto the page". The video features an -up-close and personal view of the band walking the streets of their hometown of Albany, N.Y., set to the infectious beast that drives the track from start to finish. Stumbling across an unexpected surprise, the boys find that chasing the one thing they want proves to be more difficult than anticipated. The video was co-directed by Marcy Dwyer and produced by Salka, both who were behind Hard Soul's previous video and single "Just be Love." 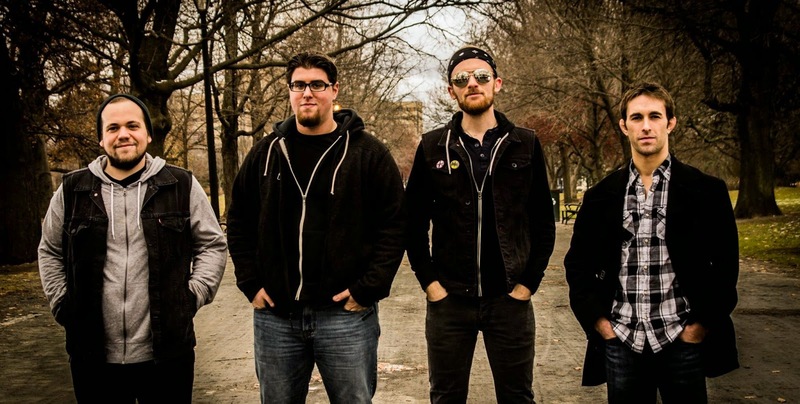 R360 caught up with frontman Johnny Salka from Albany to chat about all things "Hard Soul". R. What type of band are you? HS. I shy away from categorizing us because we hate getting pigeon-holed, but if I had to describe us I guess we're somewhere between vintage rock n' roll and hard rock. We merge fat riffs infused with pop sensibilities to craft some infectious tunes. It's all about the lyrics and the music, and the emotion behind them. Plus some pretty tasty guitar and vocal harmonies. R. Tell us the brief history of your band? HS. Back in 2011 I was playing in a metal band that had been slogging it out in the club scene for about 6 years or so. We had run our natural course; I was feeling really stiffled / bored with playing 100mph all the time. So we eventually called it a day and I took some time off to explore some other songs I had been messing around with on acoustic guitar. After a few months or so I finally felt the itch to start performing live again, so I booked a couple coffee house shows to test out the material. It reinvigorated me to start something new, so I went and tracked our first EP 'Love Eats the Young' on my own with the intent of putting together a band after it was complete. Bit by bit we added members, started playing bigger clubs, tracked another EP 'Seize the Year', embarking on larger and more ambitious tours which snowballed into some really big shows, all within less than three years. We're currently gigging in support of our new album 'Heart of Plaster' which we're all immensely proud of. R. Who writes the songs, what are they about? HS. I write the songs off on my own, tracking demos in my home studio, after which I bring them into the rest of the guys to check out. Each of them puts their unique stamp on their parts when we rehearse them and eventually go into the studio to record. My goal was always to write good, catchy tunes that had something to say. Most of the tracks come from personal experiences and have some sort of story-telling element to them. It all really depends on what's inspiring me at that particular moment, though. The last record's lyrics were written almost entirely on tour last year; we had a lot of free time on the road between cities and much of those lonely hours' thoughts ended up in the pages of my lyric notebook. Each track was inspired by a bit of heartache, life on the road, and my search for something I couldn't ever catch hold of. Lyrics are incredibly important to me, and I spend a lot of time on them to make sure they aren't cliché or filler. R. Describe your show, visually and musically. HS. Dynamic. Each record has songs that really criss-cross the musical spectrum, so we try and hit all the different sides of our sound, from the cranked up rockers to the quieter acoustic tunes. Lots of guitars, basically. I've got a personal motto for when we hit the road, though: KISS – No, not the band. “Keep It Simple, Stupid”. We're a rock n' roll band, so what more do we need than a bunch of amplifiers, a couple microphones and a big drum-set? However, I will admit my addiction to guitar pedals. You can never have enough of those. R. New video and new track. "What's new or different in this recording"? HS. The new video is “Never Be” which is the second single off 'Heart of Plaster'. In some ways it's a departure from our usual sound because it's the first track to feature a drum machine and is a little more traditional pop-oriented than some of the other songs on the album. It almost has a dance beat to it, but it still maintains that rock groove that's really prevalent in the heavier tracks. R. Who are your musical and non-musical influences? HS. When I was a kid my mom always had music playing, a lot of it classic rock. It exposed me to a lot of different bands, but I think you can pinpoint the day I discovered The Beatles as the genesis of my musical awakening. I'd lay awake in bed at night with a big pair of headphones over my ears with their songs on repeat. I became completely obsessed with their songs; the way the vocal harmonies & words mixed together was just mind-blowing to me. They were my first “band” I got into and what made me so aware of the beauty of music and how it can so strongly affect the way we feel. All these years later I still find myself inspired by the Paul McCartney and John Lennon work ethic when it comes to writing songs. Phil Lynott & Thin Lizzy were, and still are, massive influences on me, too. As a young kid I absolutely loathed poetry. But the first time I really began to understand the beauty of words set to music in such a poetic way was when I heard the 'Jailbreak' album. That working-class Irish swagger coupled with truly poignant words that paint beautiful tales. Add in the harmony guitar lines and I was pretty much hooked. If I become half the lyricist and songwriter that Lynott was one day I could die happy. HS. I've just returned from an acoustic tour last month that ran through the end of August. Our next batch of shows kicks off Friday in Lake George, NY where we'll be opening Fastball at King Neptune's before heading back out on the road around the northeastern US again.